Most beginner bikes are faced with limited options. This is especially true since most of them aren’t willing to spend a huge sum of money on their first bike. There is nothing wrong with choosing the cheapest bike on the lot. The problem is that most cyclists choose to stick with the same bike for years on end. It never occurred to them that they need to upgrade their ride as their biking skills improve. 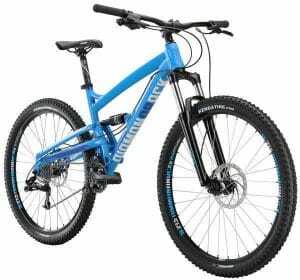 Investing on the right equipment like full suspension mountain bikes can transform the way you ride. Mountain biking is a rough, tough sport. In order to make your ride more comfortable and more enjoyable, you need a bike that will allow you to ride over tough, rocky, and difficult terrain without experiencing constant pain. 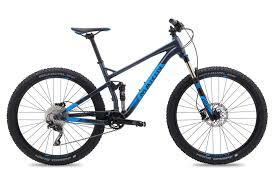 Full suspension mountain bikes are a great choice for the more aggressive riders out there. With full suspension mountain bikes, you’ll be able to ride for longer, fly down the downhill stretches, and even do more jumps. Having both front and rear suspensions, you’ll get a lot more traction over rough terrain and have full control over your bike. That means, you can enjoy a smoother ride, more comfortable ride. Whether you’re new to mountain biking or you’re looking to upgrade your current bike, you may want to consider getting a full suspension mountain bike. 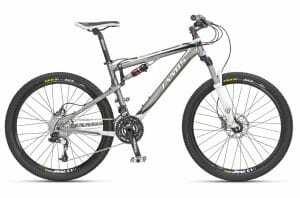 To help make the buying process easier, we have listed down some of the best full suspension mountain bikes on the market. Check out the list below, and hopefully, you can find something that will suit your needs and your budget. The Scott Spark 970 is lightweight and durable. It comes with a super light alloy frame, which is unlike many of its siblings. This bike, however, shares the same geometry as the whole Spark model line. A slack 67.2 degree head tube, a longer toptube across the range, a steeper seat tube angle, and a short chainstay define the bike’s handling. Updates to suspension design allow for excellent stroke adaptability, mid-travel support, and small bump sensitivity. It blurs the line between a trail bike and a cross country mountain bike. We’ve seen a lot of brands that offer different models, but use the same mountain bike frame. The Hawk Hill is different. This bike is a standalone, so you are less likely to find a similar model. The Hawk Hill is one of the budget full suspension bikes. Despite its cheap price, Marin promises that its price doesn’t undercut performance. In fact, this machine has all the makings of a great bike. The specification is competitive, the sizing is on point, and the frame is solid. Plus, it offers potential for upgrades. Liv describes this full suspension mountain bike as “nimble and playful while providing a stable, trustworthy feel”. With powerful disc brakes, ample traction, and active feel, the Embolden 2 holds the key to unlock your mountain bike potential. Other features also include 120mm of travel front and rear, along with a geometry that offers confidence-inspiring handling. It is designed for taking on the trails. Overall, this is the perfect bike to get you out on the trails and onto singletrack. Discover unknown territory and a little mischief with the Liv Embolden 2. 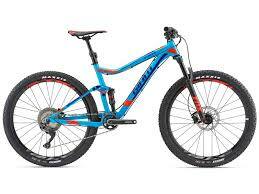 Giant offers 2 spec levels for full suspension mountain bikes – Stance 1 and Stance 2. The Stance 2 is the more economical model. 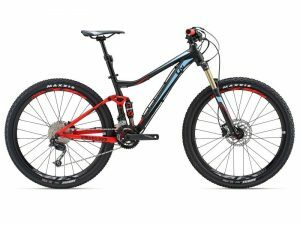 Although it’s always a good idea to check out the more premium version, not everyone is willing to shell out a huge sum of money on a mountain bike. Other just don’t have that big of a budget. If you are one of them, the Stance 2 would be a viable option. This bike provides a fantastic way to save money while you get tooled up singletrack and dirt riding. 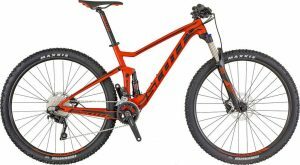 Despite being a budget bike, Giant did a great job of making it look like a premium bike. It actually resembles it longer travel big brother, the Trance. Specs-wise, the stance 2 is pretty decent. It comes with a ALUXX-grade aluminum frame, Shimano drivetrain and disc brakes, and FlexPoint rear suspension. Frame geometry is optimized for the 27.5 wheels. Diamond is the brand that almost everyone in the bicycling community recognizes. If you are looking for a great bike at an affordable price, the Atroz 2 may be just the thing for you. The Atroz 2 is a respected bike. The bike looks great and the design is mighty impressive and contemporary. It comes with a 6061 T-6 aluminum frame, which comes in 3 sizes. It also comes equipped with 27.5-inch wheels that will allow you to ride on a variety of different terrains. The simple, reliable frame, combined with full body suspension, powerful drivetrain, and knobby tires, allows users to enjoy a fun, comfortable, and smoth riding experience. This bike is designed for trail riding. It provides the speed, traction, and support you need without breaking the bank. If you want to get into mountain biking, but you’re currently watching your spending, a cost-friendly mountain bike like the Dakar XC may be just what you need. The Dakar XC does not only look good, it also offer some quality specs and versatile riding on a variety of different terrains. The Dajar XC features top-notch braking, tapered head tube, Rock Shox suspension, assymetrical chainstays, and XC MP2 suspension. This bike will fuel your off-road adventures. Unfortunately, these amazing features are undermined by criminally bad fork and narrow cockpit. The bike is also on the heavier side. In fact, it is a few pounds heavier than the average cross country bike. If the budget allows, pay a little extra and go for the XCT.